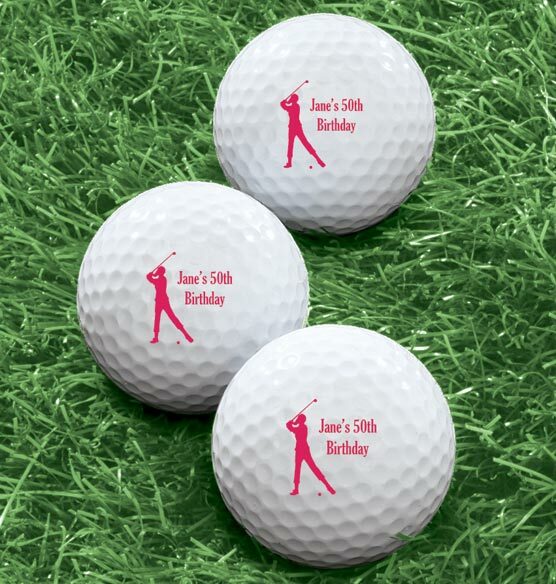 Made just for your favorite golfer, these quality, personalized women's golf balls come printed with a special message for her next to an image of a golfer in perfect form. From the first tee to the back nine, these custom golf balls make a great gift for golfers of any skill level. One message per pack of six solid core white balls. Specify message; limit 2 lines, up to 12 characters each. A geat gift for a golfing buddy. These personalized balls will never get lost unless in a water hazard. It seemed a really good offer.